EXCLUSIVE: Calls have been made for an official inquiry into police corruption after claims a report linking corrupt detectives and organised criminals was "buried". The 2002 Operation Tiberius report identified eight crime networks involved in drug trafficking, extortion and money laundering that were being helped by 42 named serving and 22 former Metropolitan Police detectives. Alleged criminals included the notorious Adams family from north London and crime gangs said to be run by murdered Brink's Mat gangster John Palmer. Another was David Hunt, who a High Court judge described as "head of an organised crime network" when he lost a libel case against a Sunday newspaper at the High Court in 2013. Tiberius, which has been seen by the Sunday Express, was put together after an internal probe found several investigations into organised crime had been compromised. It revealed that information relating to at least five unsolved gangland murders had been leaked to suspects by corrupt officers - many of whom remained in senior posts for a number of years. The confidential report suggested the Force could be cleaned up by a new task force created to investigate both organised crime and connected police corruption. Former Met Police detectives in post at the time do not think this unit was ever set up. Officers suspected of corruption were instead allowed to resign or moved to different departments, rather than prosecuted or disciplined, they said. A former senior detective who investigated the syndicates said: "This report exposed corrupt networks but what did they do with it? It was buried. "There should be an official inquiry. Most of these organised crime groups are still operating, 'Government had no appetite for it' still corrupting officers, and have become more powerful. "They have become more sophisticated in how they operate and gone from corrupting police and local politicians to MPs. "Apart from a few officers who were already under criminal investigation, I know of no other officers who were arrested or disciplined. "They were either allowed to resign or moved to different departments." The call for an inquiry comes as the Independent Office for Police Conduct (IOPC) investigates claims of "serious corruption and malpractice" within the Met's Directorate of Professional Standards (DPS). This department replaced the Complaints Investigation Bureau which was responsible for producing Tiberius. As well as mirroring some of the allegations in Tiberius, it is claimed DPS officers "interfered with or curtailed investigations". This, coupled with the secrecy around Tiberius, is why Labour MP Paul Flynn wants an inquiry launched into police corruption. In July 2014, when Mr Flynn was a member of the Home Affairs Select Committee, he was one of just two MPs allowed to view Tiberius under strict supervision by the Met. He described it as "the most deeply shocking document I have read in my life". The other MP to view Tiberius was the committee's former chairman, Keith Vaz. A month later, in August 2014, Mr Vaz announced there would be an inquiry into police corruption and organised crime but it never took place. Mr Flynn said: "The report claimed a number of members of the Met Police were involved in criminal conspiracies to commit crime, cover up crime and launder the proceeds. "But no inquiry took place in 2014 and my attempts to raise this fell on deaf ears. "There was no appetite within government. "I back calls for a Home Affairs Select Committee inquiry to now take place into the Met Police and general police corruption. "Most people would be shocked by the extent of the levels of police corruption in Tiberius." In March 2015, during a debate on undercover policing, Mr Flynn asked Mike Penning, who was then minister for police, why a redacted version of Tiberius could not be published. Mr Penning said he would write to him with an explanation, but nothing was ever received. A year later, Mr Flynn again asked the Government if a redacted version of the report could be published, but it was blocked by the then home secretary, Theresa May. Frank Matthews is the pseudonym of a former Met Police detective sergeant who had 25 years of experience investigating organised crime. 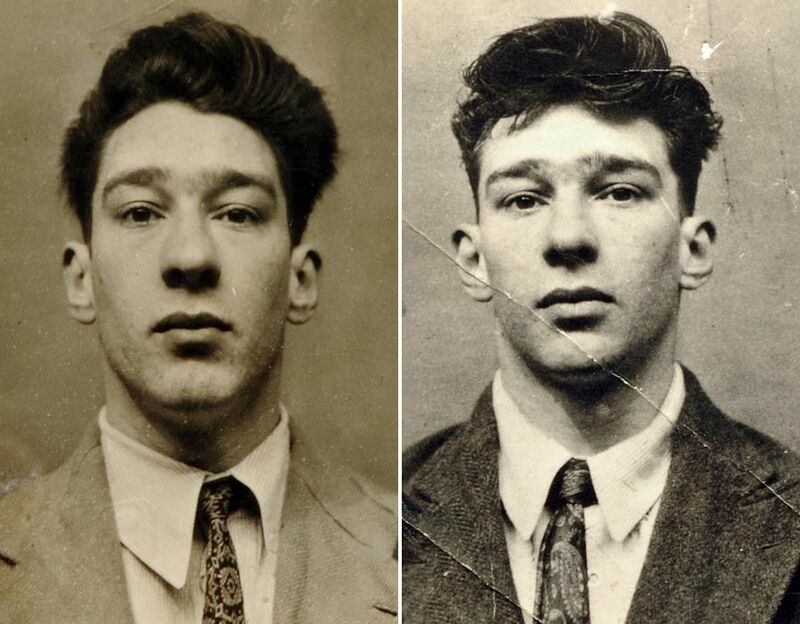 Twin brothers Ronnie and Reggie Kray, known as the Kray Twins, were English gangsters who were the foremost perpetrators of organised crime in East London during the 1950s and 1960s. During his career, Mr Matthews's informants gave him information about a crime syndicate but he claims the Met never acted upon the intelligence he passed on. He said: "I knew some of the officers in Tiberius were corrupt. "Others were a surprise but when I looked back at certain cases collapsing and the names involved, things made sense. "Tiberius was just for east and north-east London. There were four other areas at the time - including central London - so each must have had its own report but no one has seen these. "It would tally up with what [then Metropolitan Police chief] Paul Condon said in 1998 that there were 250 corrupt detectives working within the Met as there were 42 named in Tiberius. "Suspected officers were given the option of back office jobs doing paperwork. Some left the Force straight away, some through ill health and others saw it out." Two crime gangs identified in Tiberius were successfully prosecuted but the investigations - one of which involved corrupt officers - took place before the report was published. The Adams family was also severely weakened by a series of prosecutions but most of the other syndicates named are still 'A threat to public safety' believed to be operating. We asked the Met for specific details about action taken after Tiberius and whether the suspected corruption levels had dropped, but it declined to answer. A Met Police spokesman said: "We are not prepared to discuss publicly Tiberius. "It is a secret document that details the threat of corruption to police employees posed by serious and organised criminals. "The passage of time does nothing to reduce the very real risks to anti-corruption tactics, intelligence sources or current operations." However, the Met maintained that corruption was "not tolerated" and "pursued with vigour". The spokesman confirmed a task force to target officer corruption was never set up. He added: "The Anti-Corruption Command (ACC), part of the DPS, investigates allegations or intelligence relating to corrupt police officers and staff or those that seek to corrupt our staff. "The ACC will proactively identify, investigate and prosecute corruption or, where criminal charges are not possible, bring misconduct processes to bear. "It works alongside those specialist Met units targeting organised criminality to ensure the security of their operations. "This can help to 'corruptionproof' the units and investigations most likely to come into contact with organised criminals. "The work of the ACC is undertaken relentlessly and determinably, recognising that criminals who seek to corrupt our officers and staff remain a threat to the work of the Met and the criminal justice process and are therefore a threat to public safety." Mr Penning and Mr Vaz did not respond to our requests for a comment. Mr Hunt insists he is a property tycoon who has no links to organised crime. Corrupt former detectives were as big a threat to the Met Police as the gangsters they worked for, according to the Tiberius report. Twenty-two ex-officers were named as being suspected of acting as “conduits” between crime gangs and serving police. Tiberius found freemasonry lodges, golf clubs and the Met Police Sports Club in Chigwell, Essex, were used to corrupt serving police into aiding gangs. The report said: “They are not wholly criminal in the eyes of the law and not wholly police in the eyes of criminals. “They can pass between law enforcement and organised crime with impunity and cannot be monitored through professional standards and have no threat of disciplinary action. Some officers had gone on to work directly for organised crime groups as “consultants”. The retirement lunch of one suspected corrupt DCI, in charge of a unit of police informants, was monitored. At least four corrupt former detectives attended with links to four crime gangs, including the Adams family. The report also detailed an annual golf trip to the US run by a corrupt former detective sergeant linked to gangster John Palmer. Tiberius said: “The membership of this trip reads like a who’s who of both serving and former corrupt nominals providing further opportunity for networking." A detective constable suspected of links to the syndicate run by murdered villain John Palmer kept his job and went back on investigations into organised crime. The detective was moved to a police station in north-east London around 2002, the year the Tiberius report was released. He was named as suspected of working for Palmer’s gang and another crime syndicate, as well as being part of a wider network of corrupt officers. The officer from the criminal informant “source unit” was moved elsewhere in London, where he would have enjoyed access to informants across the capital. According to a former Met officer when the detective constable was moved superiors were told to “find a use for him but don’t allow him to access any intelligence systems”, but without any explanation. Despite the concerns he was helping serious gangsters in around 2003 his access to intelligence was reinstated and he helped on investigations into a gang associated to a syndicate he was linked to, which collapsed. Colleagues were never given the concerns and the detective stayed until retirement. The Met refused to comment on individual cases.